psychological - adj. of or relating to psychology. astrology - n. the study of the motions and relative positions of the planets, sun and moon, interpretated in terms of human characteristics and activities. Life is not easy, sometimes we need help in finding out who we are, what we want and where we are going in life. The world is a confusing place. If only there was a pattern to it we could understand, a way to make sense of what is going on around us and how we fit into the grand scheme of things. Astrology has been around for centuries and is currently undergoing a renaissance. Why? Because it helps us understand the questions we have always asked. You are an individual born on a specific day,time, month, year and in a specific place. That's what sets you apart and gives you a particular life journey. Find out about the real you and what astrology can do to help you. We offer personal consultations from psychological astrologer John Green D. Psych. Astrol, printed astrology reports, astrology courses and recommended astrology books to help you learn more. Rather than being about divinations or predictions, psychological astrology looks at the birth chart as a map of who we are, our life journey, our complexes and can help us get a clearer picture of who we really are. It can help us work out our problems and clarify our goals. A psychological astrologer, such as John Green, will give you insight into what makes you tick as a person. It can help you understand where you are going in life, why problems recur in your life and teach you how to develop yourself better. This can lead to helping you have a greater understanding of yourself, your relationships with others and the direction of your life. 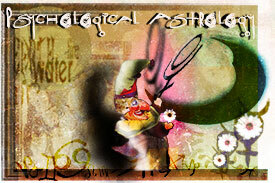 Psychological astrology was born developed from an understanding of the works of Freud and Jung. Jung was fascinated with astrology, and cast horoscopes himself to "find a clue to the core of psychological truth. Probably the best known exponent of psychological astrology is Dr Liz Greene. A Jungian analyst, she set up the Centre for Psychological Astrology in London in 1983 with the late Howard Sasportas, a psychosynthesis psychotherapist. It was set up to foster the cross-fertilization of astrology with the fields of depth, humanistic, and transpersonal psychology. The application of psychological astrology makes a powerful tool for counselling and life management. It gives an incredibly helpful insight into areas such as lack of a sense of direction, low self confidence, conflicts in relationships, health, sexuality, love, vocation, addiction, depression and much more. Please note: I am not taking any bookings for consultations at the moment as I have a very long waiting list. Copyright © 2018 John Green D.Psych.Astrol. & Scapegoat. All Rights Reserved.